The team of Leidos, Cerner and Accenture has installed a new electronic health records platform at Naval Hospital Bremerton in Washington as part of the Defense Department‘s efforts to modernize the Military Health System. Leidos said Monday the deployment of the MHS GENESIS platform in Bremerton is part of the initial operational capability rollout of the EHR system to military installations in the Pacific Northwest. MHS GENESIS was previously installed at military bases in Fairchild and Oak Harbor. DoD awarded the Leidos-led industry team a potential 10-year, $4.3 billion contract in 2015 to integrate a commercial EHR system across MHS. 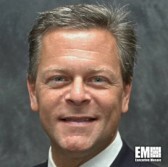 Jerry Hogge, senior vice president of Leidos’ defense health business, said the three companies work with healthcare company Henry Schein and the program executive office for DoD Healthcare Management System Modernization on the deployment effort. Hogge added that the team aims to accelerate the delivery of care at military treatment facilities, help meet cybersecurity requirements and implement systems with minimal disruption. MHS GENESIS is powered by Cerner’s EHR technology and designed to integrate with a portable electronic health and dental record system for service members and beneficiaries.